The other day, I got an email from a colleague. He'd agreed to coach his kid's elementary school Science Olympiad team in learning human skeletal anatomy. The PDF he was given to teach from was terribly boring and included blurry pictures of bones. What ideas did I have, he asked, to make learning anatomy fun for 2nd-5th graders? What does a skeleton look like? 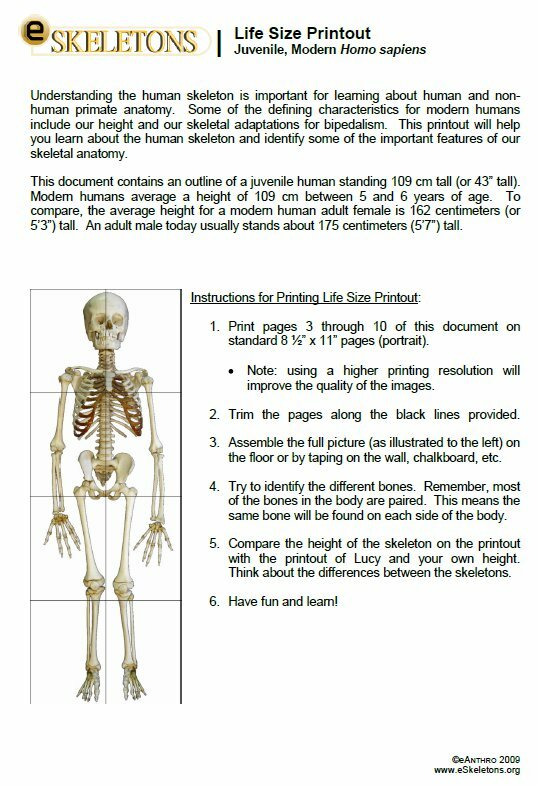 Print the life-size skeletons from eSkeletons (child and/or adult anatomy). Have each kid color one to hang in his/her room. Discuss the functions of the bones - for example, legs are for walking, hands are for grasping, ribs are for protecting organs. How does a skeleton work? Bring in a plastic disarticulated skeleton. Have kids put the skeleton back together. Discuss paired bones, anatomical position, right versus left (i.e., that the skeleton's left is also your left), and how joints work. Bring in a couple sets of washable markers. Ask kids to wear shorts and short-sleeve shirts. Major landmarks for older kids - for example, the medial malleolus of the tibia forms the inner ankle. Using Appendix 1 in Bass' Human Osteology: A Laboratory and Field Manual, teach some basic anatomical terms. Categories: condyle, boss, and malleolus are all large, rounded processes. 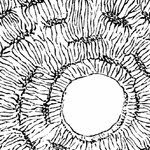 Neat words: odontoid process of C2 looks like a tooth; the coccyx is shaped like a cuckoo's beak; the linea aspera is a rough line (attachment for gluteus maximus, a major muscle that helps us walk). Also see eSkeletons for word finds and crosswords, or make up your own. Solicit their help in making up acronyms to learn bones. I was taught "Some Lovers Try Positions That They Can't Handle" for the carpals, but you can make it PG for the kids. Use markers (on paper) or stickers/colored tape (on plastic) to stand for things like cut marks, projectile trauma from a bullet, and broken bones. Can include clues to murderer too: lost ID/shoe/watch; trauma inflicted to victim's left side (by right-handed assailant). Written work: have the students record the exact location of all the trauma, first by coloring in the location of the trauma on a diagram of a skeleton, and then by using proper anatomical terminology to describe the location - for example: sharp trauma inflicted to the left fourth metacarpal-phalangeal joint, perhaps to remove a wedding band. Get some bones from your local butcher. It's pretty easy (and often free) to get bones from non-choice cuts of meat - several of my former students got free pig joints and skulls just by asking. Compare the animal anatomy with the human anatomy - what's the same, and what's different? Why? Anatomy Arcade - This site is ad-supported, but there are some very neat interactive games like a skeleton jigsaw, a crossword puzzle, and whack-a-bone. Anatomy Game - A bit more advanced than elementary school, but probably fun for high schoolers and undergrads. 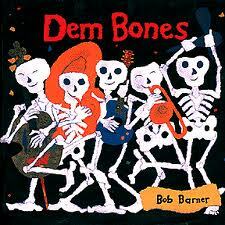 Dem Bones - Book and music. Google Body - Now called Zygote Body. Explore layers of human anatomy. Hannah Montana Bone Dance - Doesn't include all the bones, but is so lame it's circled back around to being cool. Schoolhouse Rock - Similar to Dem Bones; not a lot of anatomy, but a basic overview. Skeletons in the Closet - Board game that looks pretty fun. Ages 7 and up. 5-Layer Body Puzzle - Neat toy. Ages 4 and up, but my 2.5-year-old loves it. Comes in girl and boy versions. If you have additional ideas, feel free to leave them in the comments! Thanks go out to Dana Russell, Sue Sheridan, Pat Shipman, Jill Rhodes, Gwen Robbins Schug, Jaime Ullinger, Jessica Goodsell, Alan Cross, and Arco Williams for a bunch of these ideas! Witmer Labs at Ohio U. has interactive 3D visualizations of human anatomical structure, open-access and free to download. Those models are really cool, Gidget! Thanks for sharing. 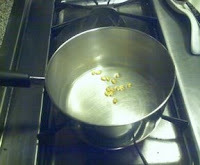 I'd never seen them before. Thanks for all the great information! I have a 10 year old who would find your links very interesting.